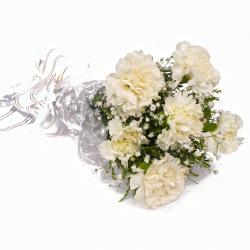 Product Consist : 6 Light Yellow Color Carnations with green fillers in Cellophane Wrapping with Ribbon Bow on it. Send this amazing gift item which is perfect for gifting the one you love on Valentines Day gifting. 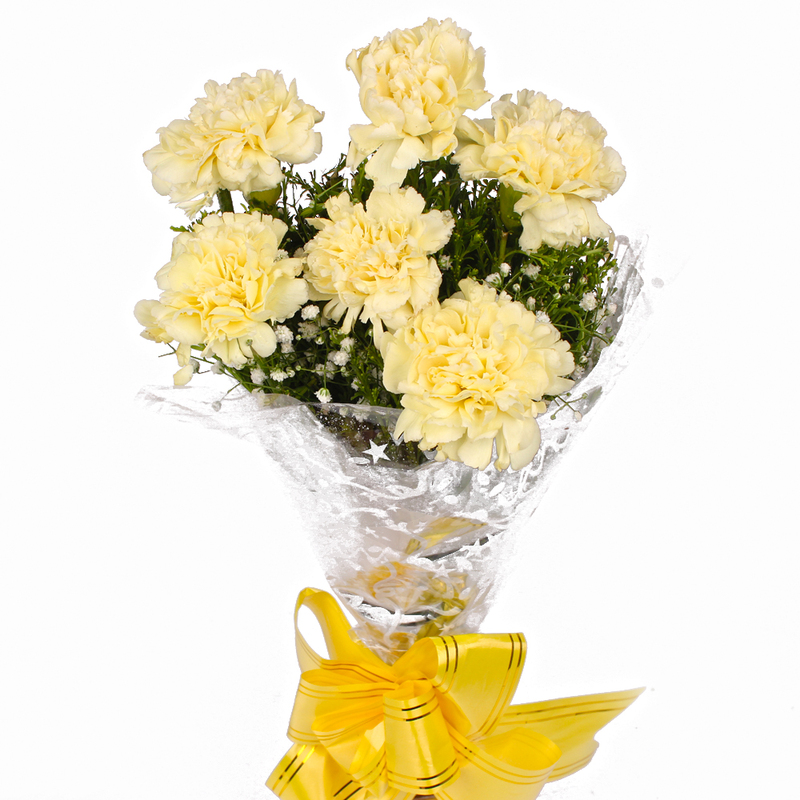 The bunch contains Six Yellow Carnations which is neatly wrapped in cellophane and bow tied with a ribbon. 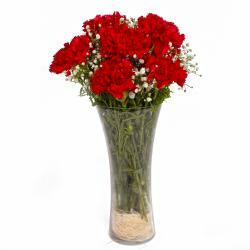 Carnations are perfect flowers for gifting your special someone and it symbolizes innocence, purity and beauty. 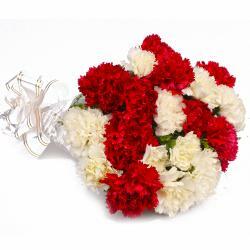 You can send this bouquet on various occasions like Birthday, Anniversary, Romantic, Valentines Day, Missing You. 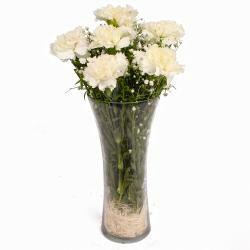 Gifts for everyone and every occasion are available at Giftacrossindia gift store. So hurry up and place your order now. 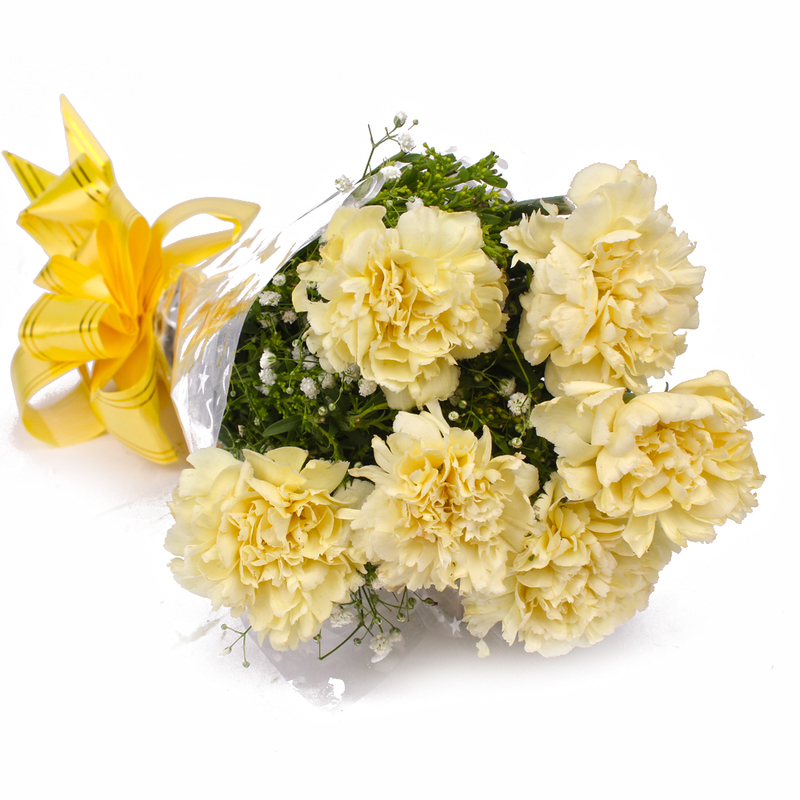 Product contains : 6 Yellow Color Carnations with green fillers in Cellophane Wrapping with Ribbon Bow on it.